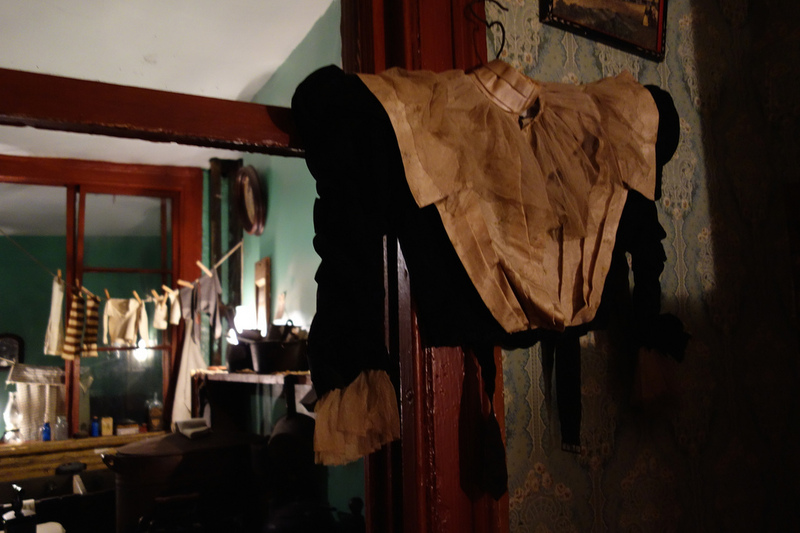 Photography is strictly prohibited in the apartments of the Tenement Museum, where 19th- to early-20th-century immigrant living is recreated amid unrestored spaces. 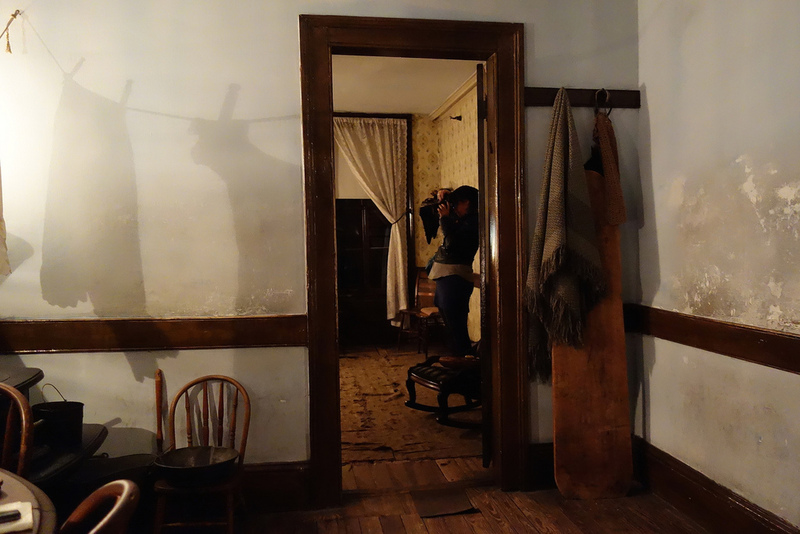 As part of their Snapshot program, the museum opens after hours to invite photographers to explore. 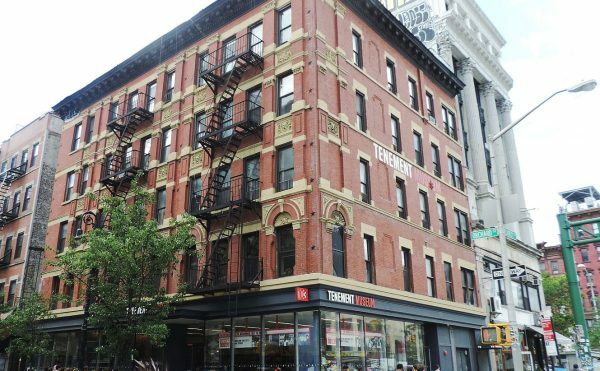 The first Snapshot event was held in 2010, and, last week, as part of a new series of night events on first Fridays, the museum presented its 97 Orchard Street tenement to small groups of photographers. 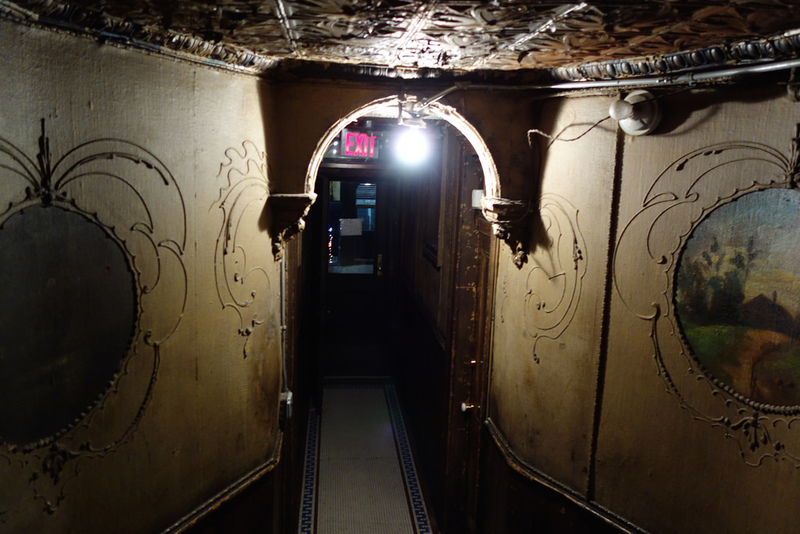 The museum is as much a living ruin of the Lower East Side as a historic home, approaching its programming as interactive storytelling. 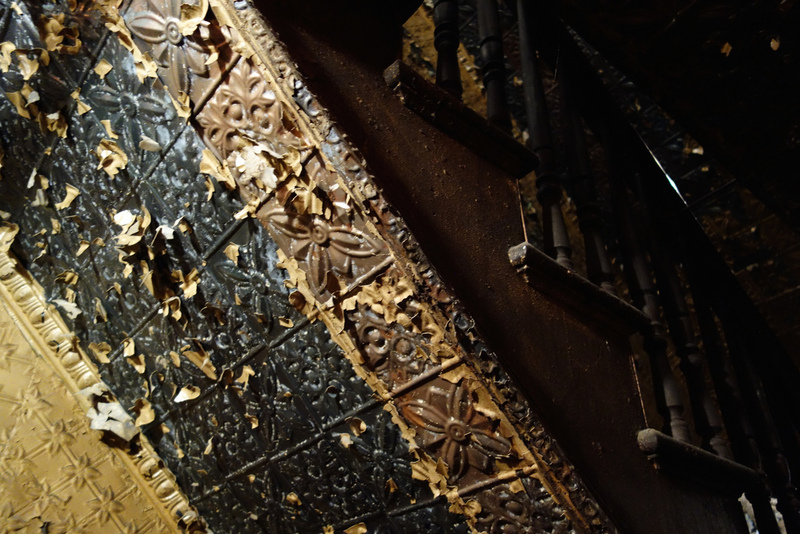 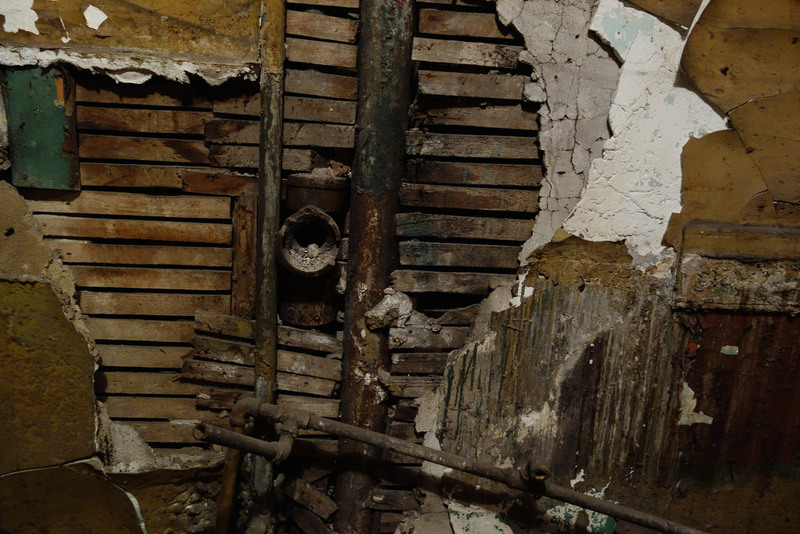 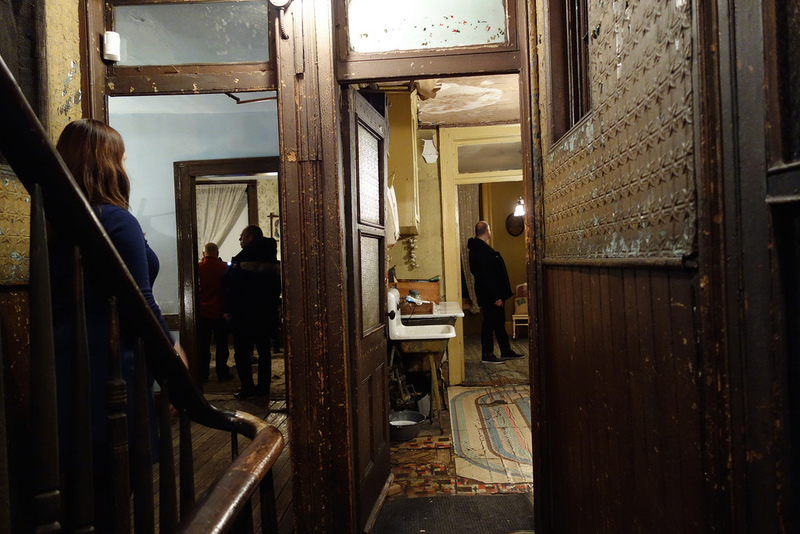 The next first Friday event on March 6 will have visitors play 1906 Tenement Inspectors, assessing the building code violations of the wood staircases, peeling paint, and tight living quarters. 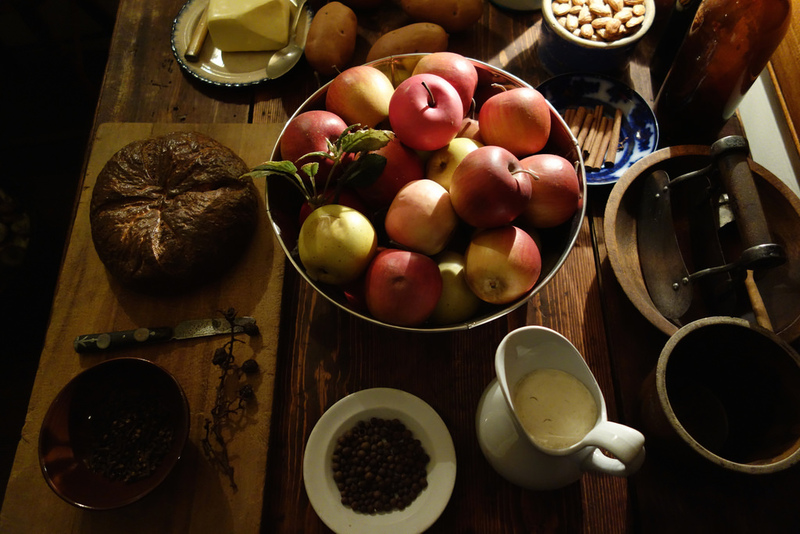 The photography event is a little different. 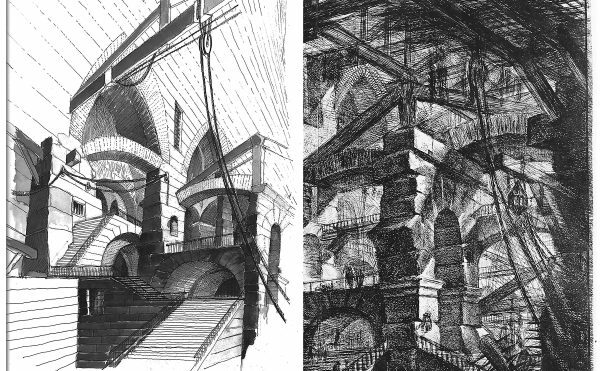 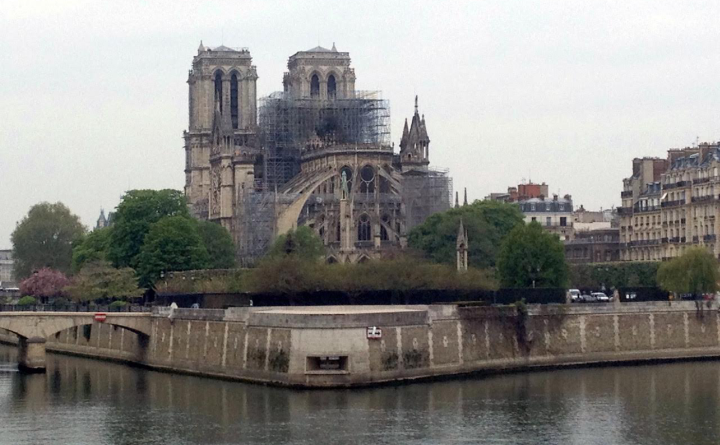 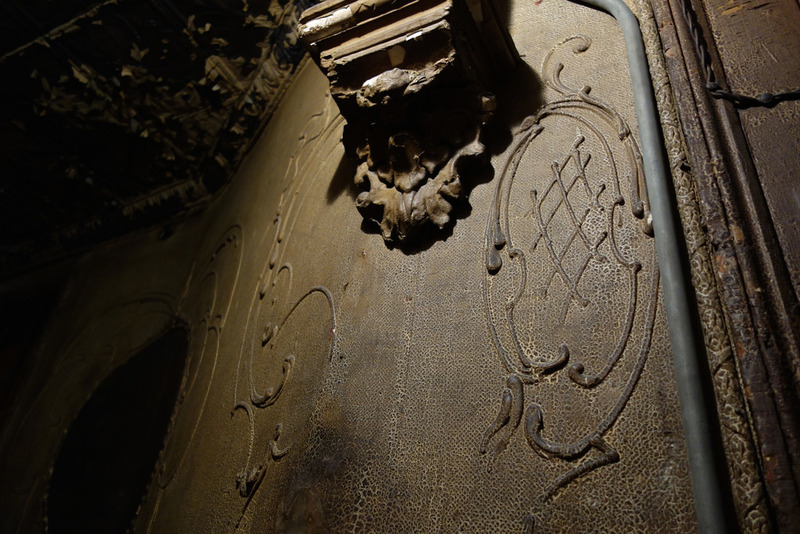 With no actors and a minimal history tour, it was more about examining the visual details of the space. 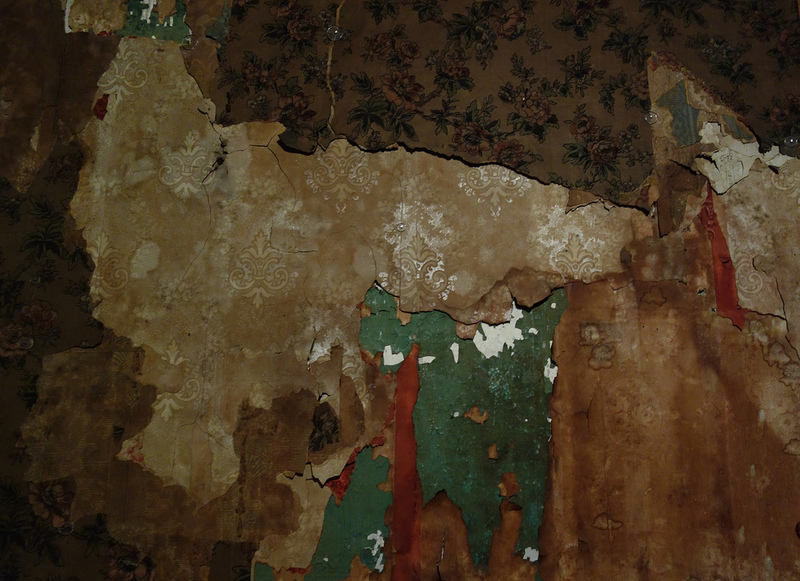 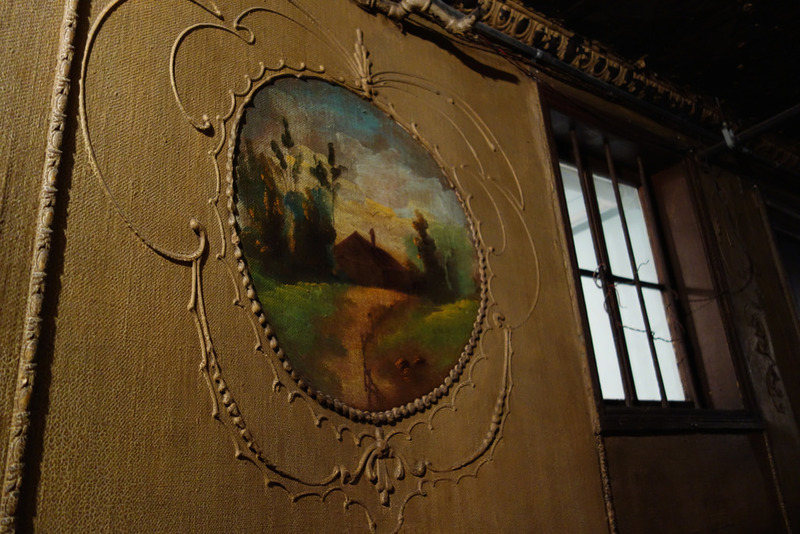 Approaching the museum with camera in hand, looking at rooms from different angles in the bare lighting from exposed bulbs and lamps, draws out the peeling layers of wallpaper and other collaged details that are reminders of the around 7,000 people who lived here between 1863 and 1935. 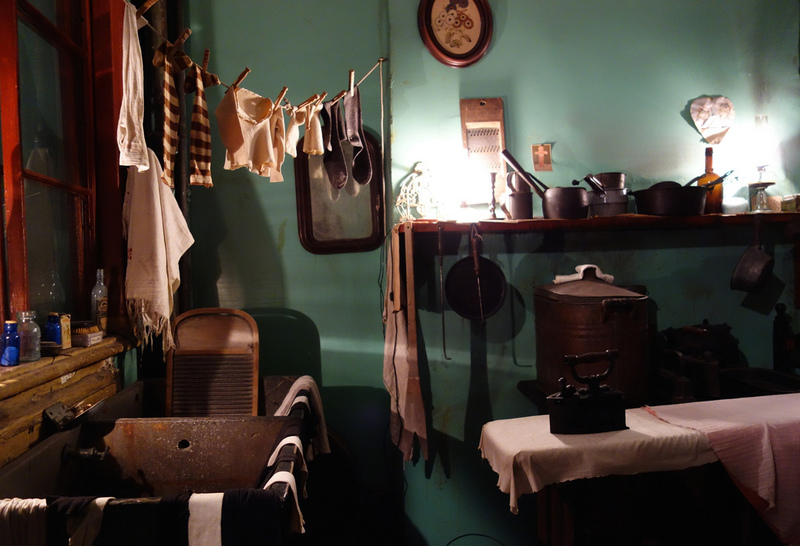 Looking across hallways to the open doors of neighboring apartments, where kitchens link into bedrooms and sometimes sweatshops, is a visual time capsule of what it meant to live as an immigrant on Orchard Street at the turn of the century. 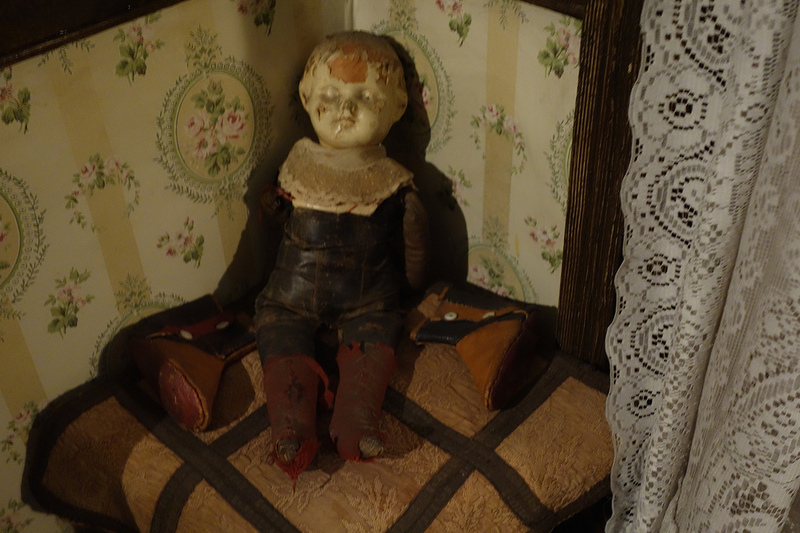 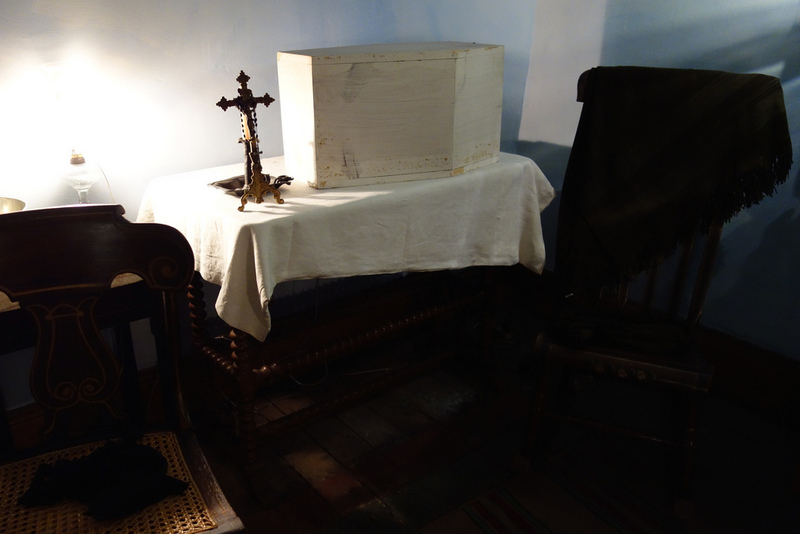 A somber wake for a five-month-old, who died in 1869, in the dimly lit Irish Moore family apartment contrasts with the lively disarray of the Polish Levine family’s dressmaking shop from 1890. 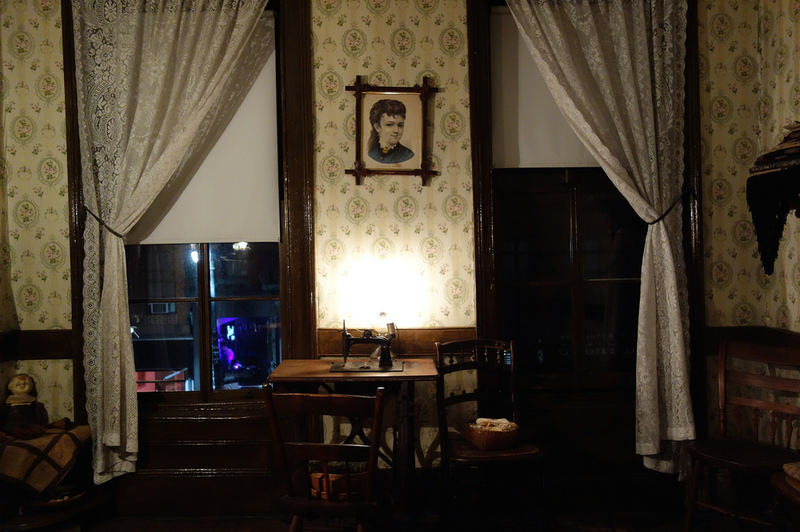 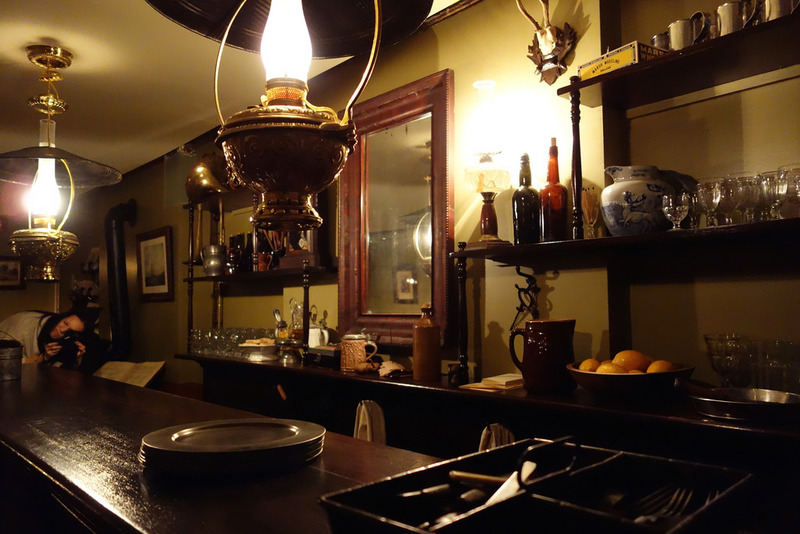 The newest installation — Shop Life, which opened in 2012 — has a meticulously recreated late 19th-century German saloon looking out on the street, where in the darkness you can almost imagine street traffic from over a century ago passing through the shadows. 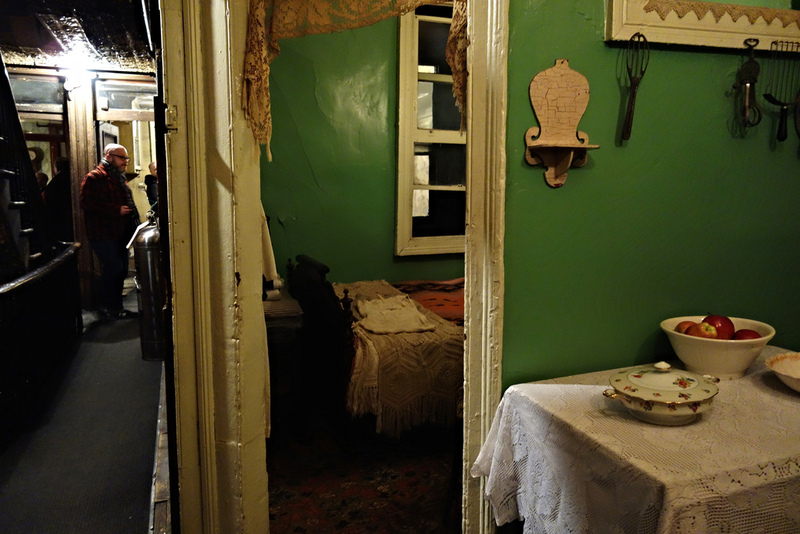 Photography is limited at the Tenement Museum partly to not distract from this historic context, and the Snapshot events are a smart way to balance visitor photography with preserving that experience. 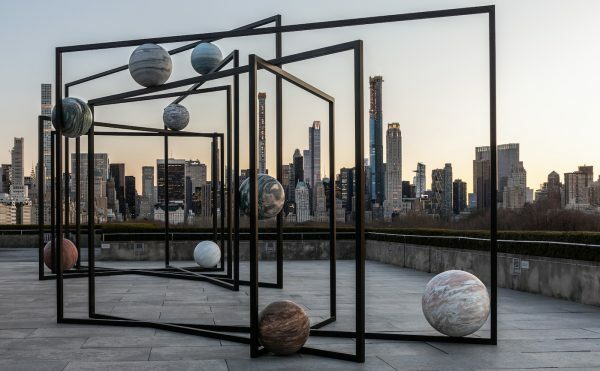 It’s a program that other no-photos institutions like the Frick Collection, despite its brief flirtation with photography, could institute and still manage crowd control and other issues like copyright. 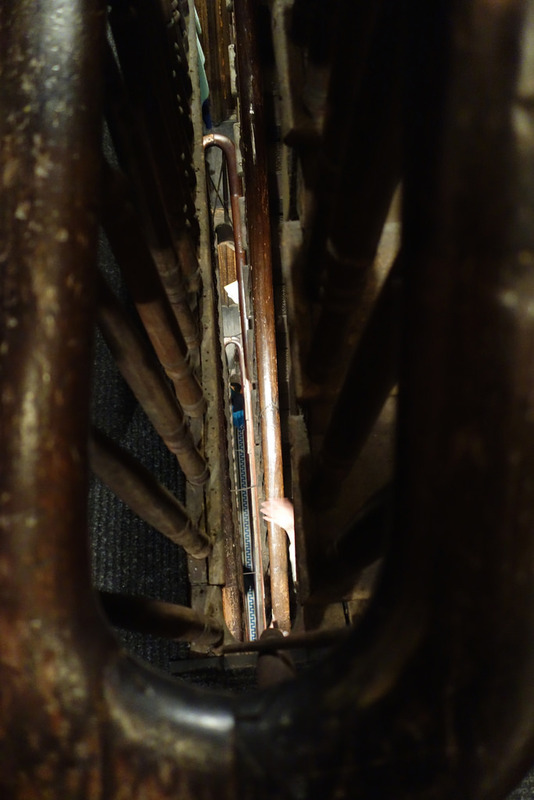 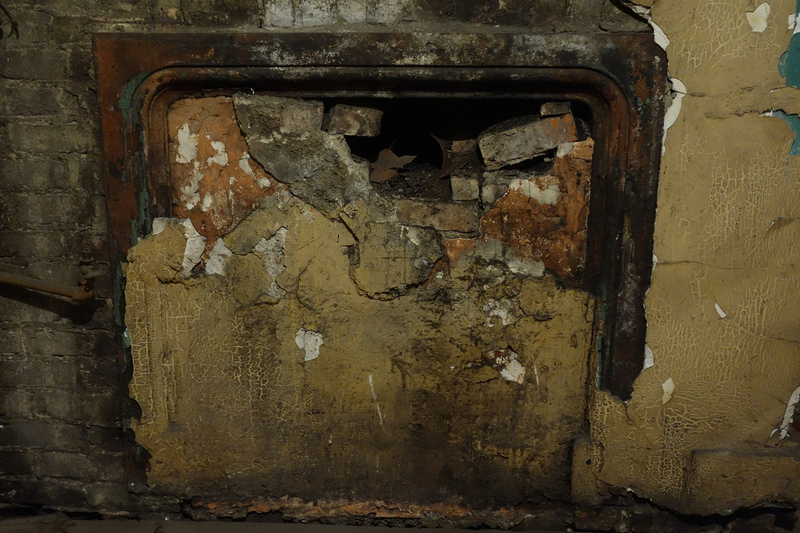 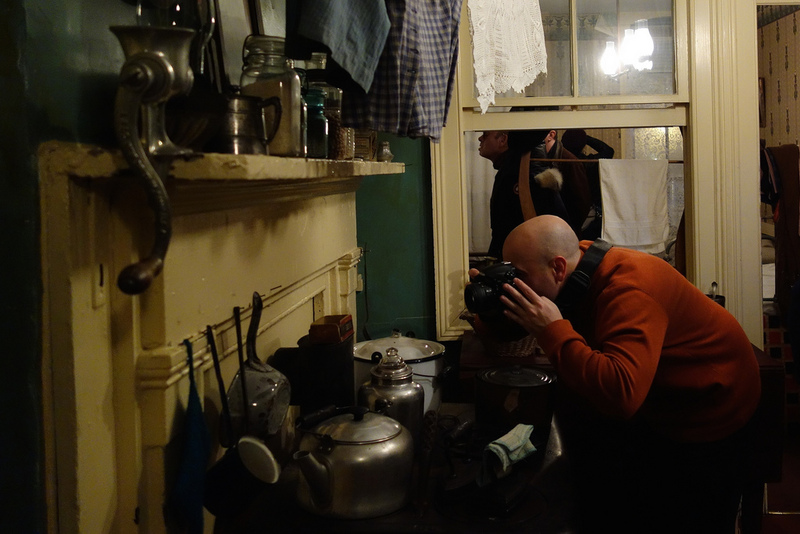 Below are more images from the rare opportunity for photography in the Tenement Museum, although another Snapshot event is planned for May 1. 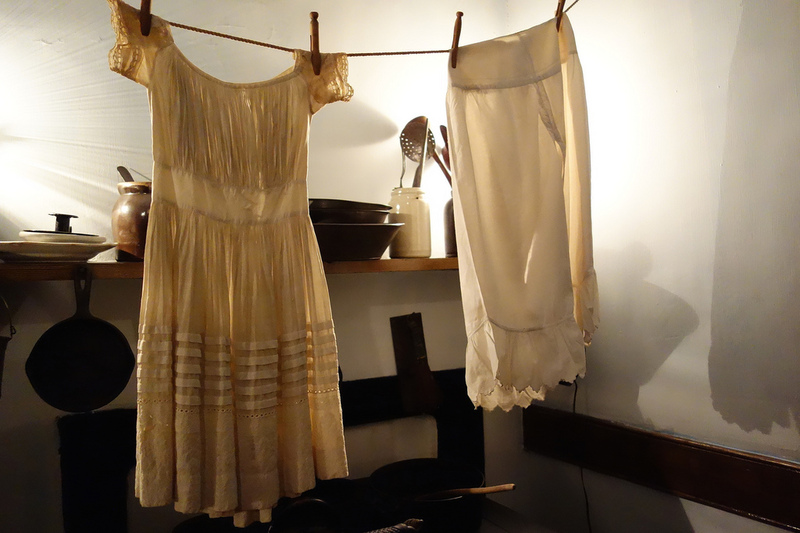 The Snapshot program was held at the Tenement Museum (103 Orchard Street, Lower East Side) on February 6. 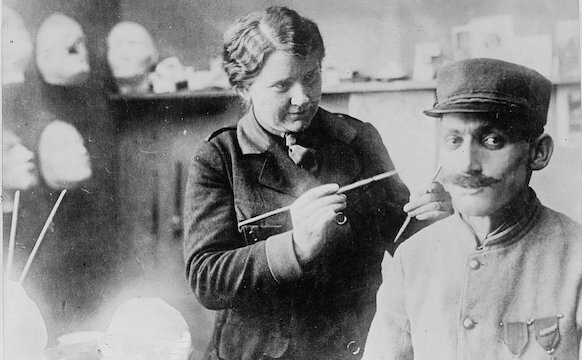 The next Snapshot event is planned for May 1.